Anheuser-Busch delivered on its promise to expand disaster relief capabilities, bringing its brewery in Fort Collins, CO online to can emergency drinking water. The expansion will enable the brewer to more quickly distribute clean, safe drinking water to communities from coast to coast during times of need. Today also marks the debut of newly designed cans and truck designs that capture the spirit of the program, highlighting the dedication of our employees and partners to support our communities during times of need. Anheuser-Busch has a longstanding tradition of providing emergency drinking water and supplies for disaster relief efforts in partnership with the American Red Cross. 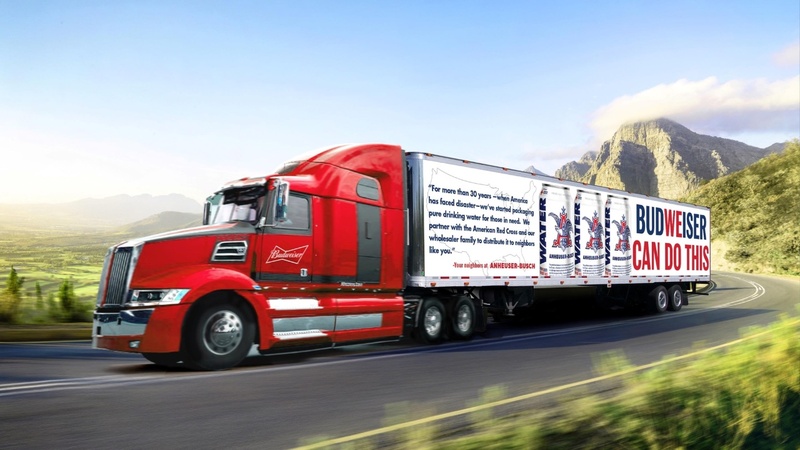 Since 1988, Anheuser-Busch has provided more than 79 million cans of emergency water to disaster-stricken areas. In 2017, the brewer provided almost three million cans of emergency drinking water to communities impacted by natural disasters, including in Texas, Florida, Georgia and California. This year to date, Anheuser-Busch has provided more than 300,000 cans of emergency drinking water to communities facing difficult times. For more than 165 years, Anheuser-Busch has been woven into the cultural fabric of the United States, carrying on a legacy of brewing great-tasting, high-quality beers that have satisfied beer drinkers for generations. Today, we own and operate 23 breweries, 20 distributorships and 22 agricultural and packaging facilities, and have more than 18,000 employees across the United States. We are home to several of America’s most recognizable beer brands, including Budweiser, Bud Light, Michelob Ultra and Stella Artois, as well as a number of regional brands that provide beer drinkers with a choice of the best-tasting craft beers in the industry. From responsible drinking programs and emergency drinking water donations, to industry-leading sustainability efforts, we are guided by our unwavering commitment to supporting the communities we call home.